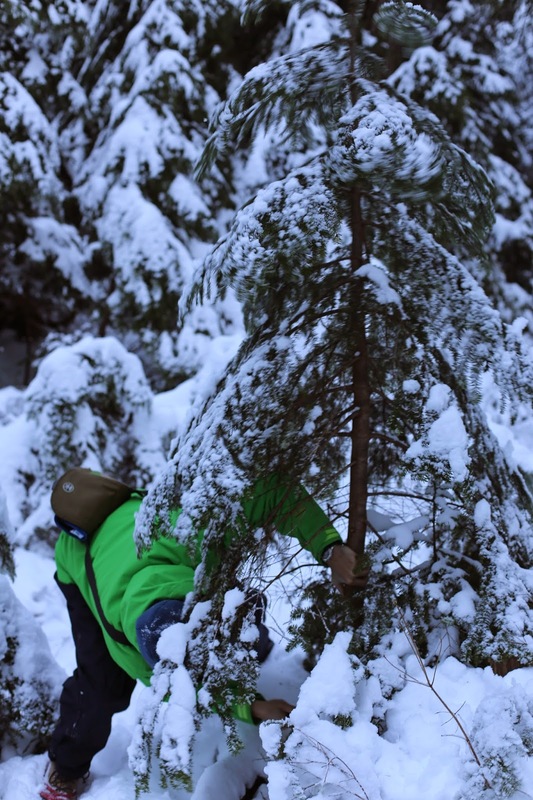 In Washington State, one can get a permit to cut a Christmas tree from public land, with very few restrictions. If you had a really big house, it would be tempting to get an impressively sized tree to match. We chose this modest tree, and it was great fun hauling it back to the car and decorating it back home. The high temperature was only -10C out here, so it took a couple of days for the snow to melt off before we could bring it inside.